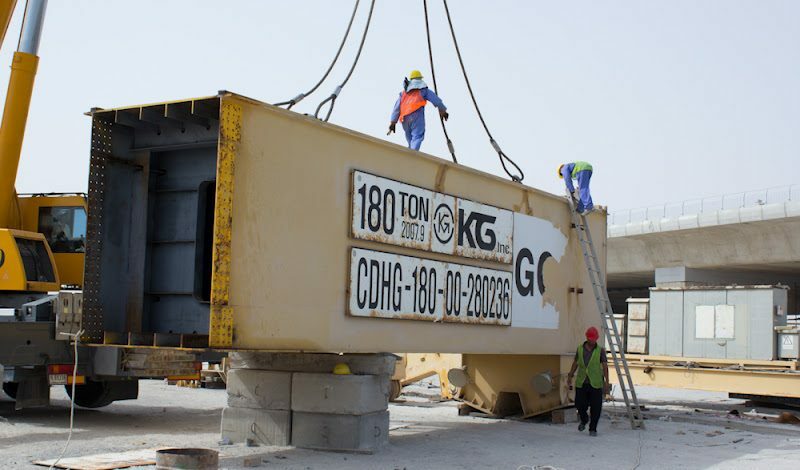 In support of a Qatari Infrastructure project Move One transported two 180 ton gantry cranes from Dubai, UAE to Doha, Qatar. Due to their extreme weight, these cranes were dismantled into three pieces and placed on lowbeds. Move One used a combination of flatbeds and lowbeds (30t; 60t; 110t) and placed the pieces on the trucks using heavy lift equipment. Over 80 trucks were used during this transport, including 16 special trailers.